Oregon Sunstone is our Oregon State Gemstone. Oregon Sunstone has many qualities that sunstone found in other locations do not have. The bright pink/peach/orange/red colors cannot be found in other locations. There are also a few that have blue and green hues that are quite rare. Our Goldsmith/Designer put the finishing touches on the ring, do you like it? 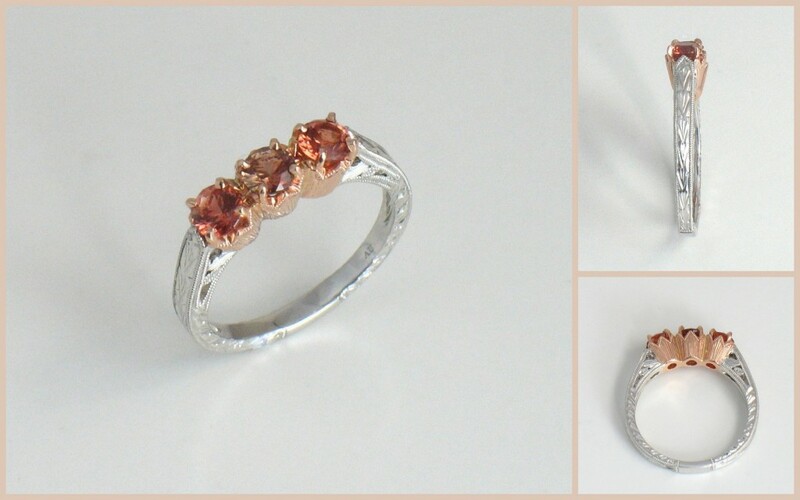 We try to have a nice selection of Oregon Sunstone jewelry.